Thank you for choosing Thompson Electric, Inc. Our family has been serving Wilson and surrounding counties for over 40 years. Whether you need residential, commercial, or generator services, we are here to help! We are a full service electrical contractor. If you have electrical problems at home, or at a commercial facility, we can help. If it is wiring an entire home or building, or just hanging a light fixture, we guarantee a timely response and a job well done. Thinking about purchasing a permanently installed standby generator? We are a registered dealer with Generac, and offer competive prices on installation and maintenance of all Generac units, commercial or residential. 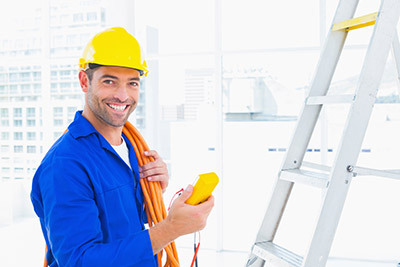 Commercial & Residential Electrician, Serving Lebanon, TN., Mt. Juliet TN., and Greater Nashville, TN.